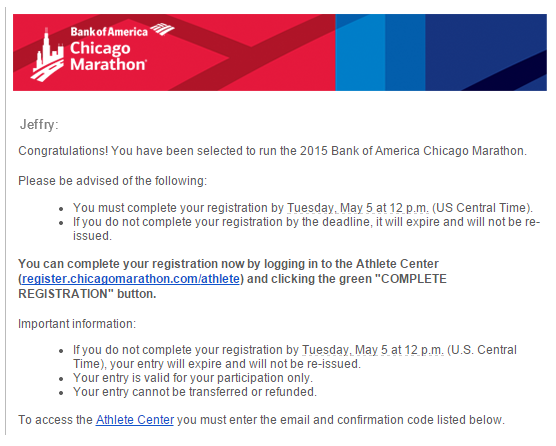 A few months back, my best friend Keri and I decided to enter the lottery for the 2015 Chicago Marathon. 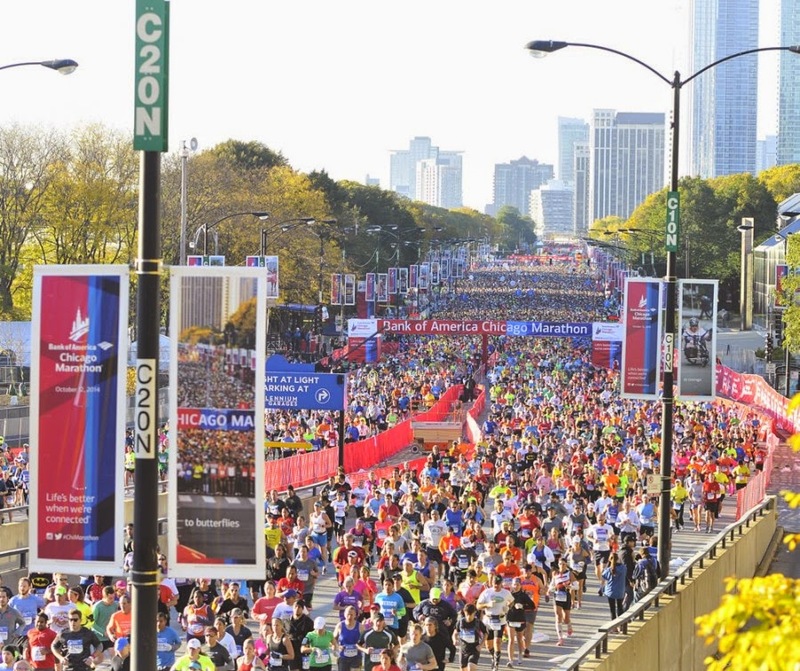 The Chi Marathon has been on my bucket list ever since completing my first 26.2. If we were both to get in, we would make a girls weekend out of it. Then our husbands decided they wanted to enter. As the weeks went by, I wondered how this would all pan out. What if Keri and my husband got in and I didn't? Or what if Gabe and I got in but Keri didn't? Surely, there was going to be one person left out because the chances of all four of us getting in were nearly impossible. 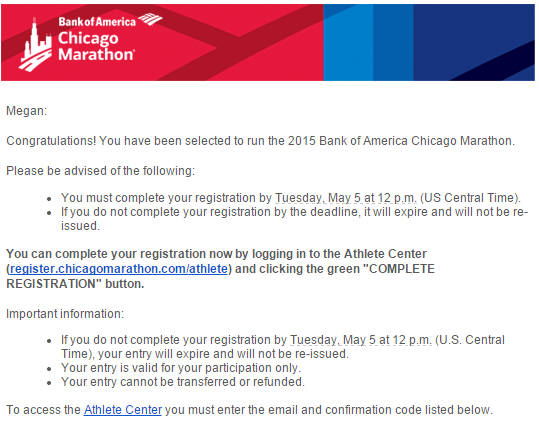 So we are both in!! 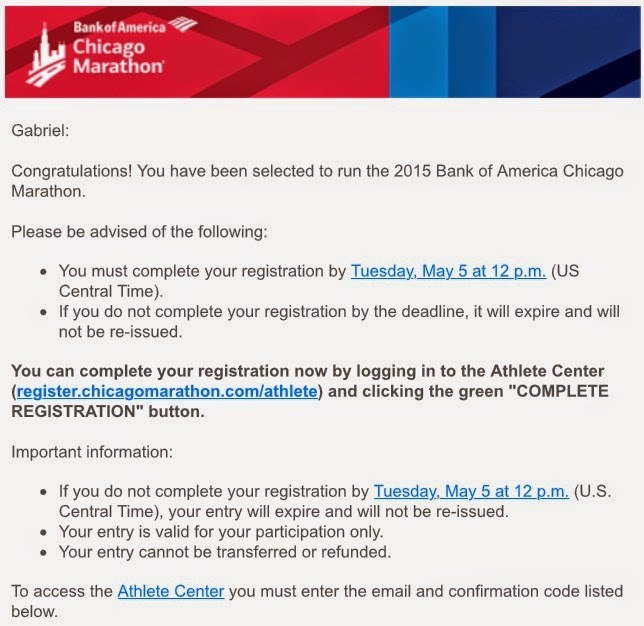 I probably called Gabe 10 times over the next few hours asking if he got an email. As of 3:30, nada. We assumed that neither he nor Keri's husband Jeff got in. Then at 3:45pm est, I received this photo. YAY!!!!!!!!!!! 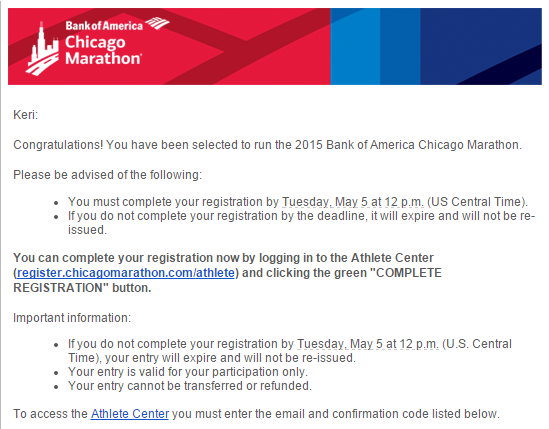 Somehow, someway, all four of us made it into the Chicago Marathon! At first, I speculated that everyone who entered the lottery got in this year because these odd's are near impossible. Then I found out from others who sadly didn't get in. 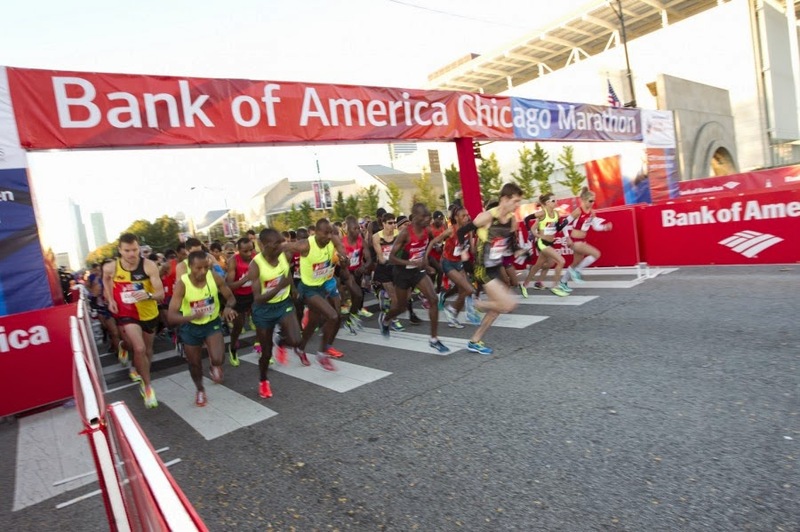 For those looking to run the 2015, you can still do so through Chicago Marathon Charity and Chicago Marathon Travel Programs.